SHANGHAI -- Ride-sharing is taking over in this ancient city, a place that some expect to eventually be at the epicenter of a mobility revolution. But it's not the kind of ride-sharing you're thinking of. For about 1 yuan, or 14 cents, an hour, you can have all of the mobility you could imagine -- so much so, that the government is in knots over how to police it (people circumvent payment) or how to manage it (it's wildly popular). 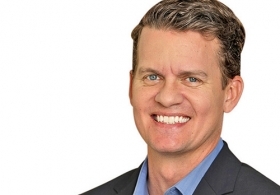 Just over a year into the experiment here, one company's valuation is worth close to $500 million. Mobike lets users borrow bicycles on a whim then leave them anywhere for others to book. Leave it to Shanghai to reinvent itself only 20 years after taking a century to reinvent itself. The car killed the bike, which is now trying to kill the car. It's all the vision of Hu Weiwei, a 30-something woman and a former journalist at a Chinese car magazine who has known only the congestion and coughing and the head-shaking Shanghai traffic that make rush hour in Los Angeles look like Des Moines at midnight. Credit her for co-founding a ride-sharing model Shanghai had never seen -- one linked to GPS and a smartphone app and now intertwined with millions of users every day. 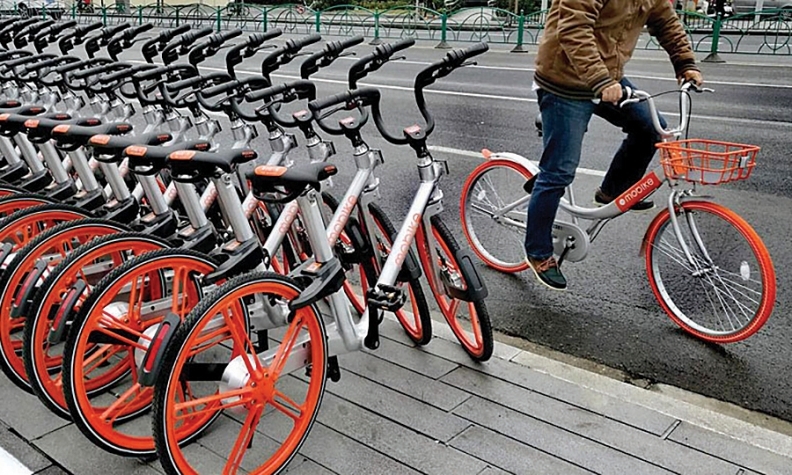 The service, called Mobike, lets users borrow orange bicycles on a whim, then leave them anywhere (in subways, outside public toilets, in hotel foyers) for another potential rider to book. It's now the world's largest bicycle operator. Ironically, in a Shanghai that has been rebuilt for cars, it's causing all kinds of problems: Pedestrians are continually being hit, bikes are being stolen and the roads can't support the bike traffic. It's a storyline as wild as the auto industry's explosion here and the latest chapter in a two-decade transportation narrative that is rewritten every year. First the auto economy was filled with "endless potential," then it was growing "too fast," then it was "bound to slow," only to "definitively recover," and then to ... (fill in the incorrect prediction). It seems that China, and Shanghai, can't find a happy medium. Two months ago, the Chinese government restored subsidies for electric vehicles, which it had eliminated a month earlier. By July 1, car dealerships, which couldn't operate multiple brands, will be able to sell whatever they want. And this year Beijing raised the sales tax on vehicles with engine displacements of up to 1.6 liters. If it sounds like chaos, then your ear for the Chinese industry is pitch perfect. And that's what keeps investors, auto manufacturers and suppliers as giddy as they are leery of the long-term path to stability in China, the world's largest market. China can't seem to settle. In the latest trend, the current state feels more like the United States. Used cars are flooding the market, new-car margins are evaporating and the emphasis is on parts and service, financing and the aftermarket. Sedan sales are falling; crossovers are booming. Also familiar is the fact that the market, once predicted for a shakeout, is anything but. Drive the streets of Shanghai and it's the United Nations of car brands -- from Skodas to Peugeots to Chevrolet Cruzes to an array of well-styled Chinese brands. One major thing is new: The local brands are finally up to the task, a notion that was laughable less than a decade ago when the domestics simply survived by requiring foreign carmakers to form joint ventures with the locals. That helped the Chinese brands develop manufacturing expertise while still profiting from sales of foreign brands. Now, with all of that expertise under their belt, domestic capabilities are increasing at a breakneck pace. Talk to non-Chinese Tier 1 suppliers and automakers and they say that Chinese manufacturers have the goods -- and in spades. They have the wind tunnels and engineering facilities and are increasingly luring Western talent, thanks to the commitment to long-term success and the investment in technology. China's domestic automakers are launching a range of new and better products, all of which are edging nearer to finally threatening the foreign brands. SAIC Motor Corp., China's largest automaker, wants to double sales of its domestic brands, it was reported this month. It all makes for an alluring scenario, which might be the only constant in China. Twenty years on, Western suppliers continue to be amazed at the market, even in the face of predictions of stability, because stable now means a growth rate of 8 percent per year, "a recession," as one supplier joked last week, from the 25-percent gains of five years ago. Labor rates remain less than 5 percent of a supplier's cost, about one quarter of labor rates in Western Europe. Chinese plants are some of the most efficient in the world. Government promises are kept; the speed of infrastructure improvements is remarkable. "My Chinese joint-venture partner only asks me for one thing," one Tier 1 supplier executive said last week. "Profit." But, ultimately, it's China. And that means it's anything but static. And where does that leave Western investors? As perplexed, bewildered and allured as ever. Twenty years since the Western auto world really fell for China, it's a complicated, fascinating place. But it has always been. If there is a moral to China's story, it's never-ending -- a riddle wrapped in four wheels.